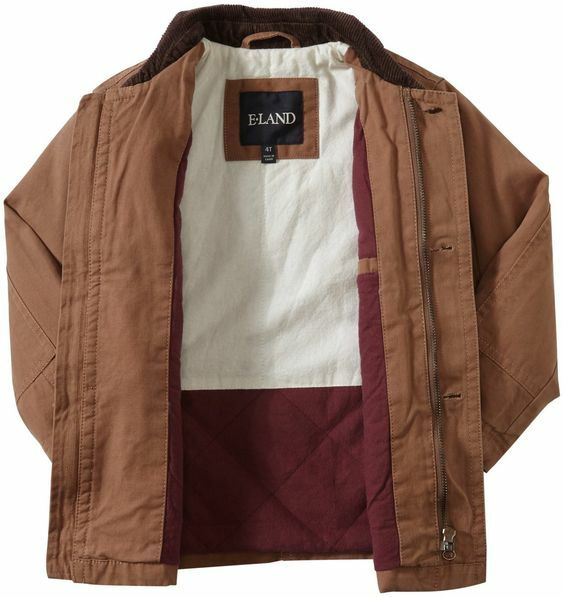 Did you know that The Boy’s Store carries Eland & American Vintage? 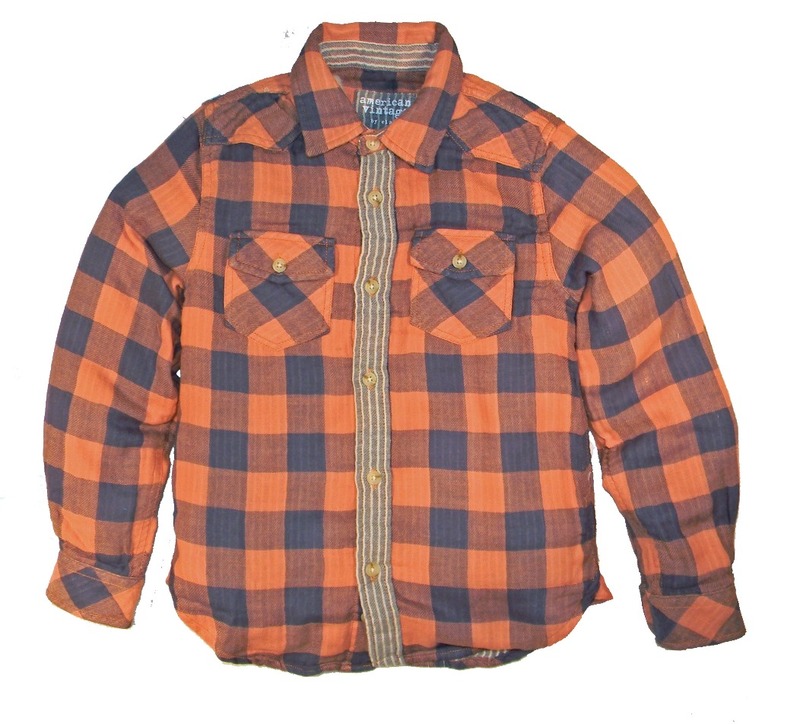 This brand features vintage shirts, pants, and jackets for boys. They are rugged, reinforced for wear, and carry that nostalgic Americana style. A lot of their styles are perfect for fall and autumn weather. So be sure to check them out before the weather turns. Boys Henley Waffle Weave Shirt by E-Land: This grey waffle weave long sleeve Henley is soft, warm, comfortable, and rugged enough that your boy cannot wear it out so easily. Available in navy and oatmeal as well. 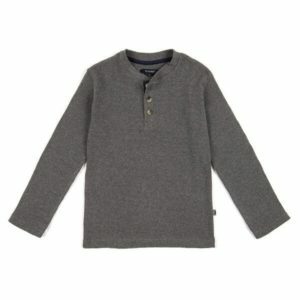 Boy’s Canvas Barn Jacket by Eland Kids: This barn style jacket is perfect for fall and winter. Whether your little man is working outside or playing outside he will be warm and stylish. Boys’ Flannel Plaid Button Up Shirt by American Vintage: This orange and blue colored flannel is incredibly soft. It is the shirt that will soon become the go to shirt when dressing for warmth and comfort, without ever sacrificing style. 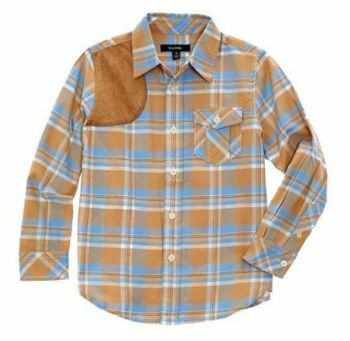 Boy’s Plaid Shirt by E-Land: this tan and blue plaid shirt features a tan shoulder patch, this hunting style shirt will keep your little hunter warm whether he is hunting wild game or playing wild games. 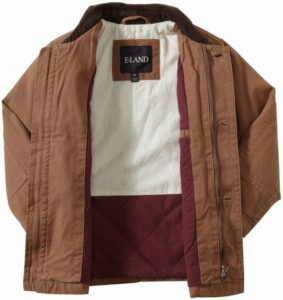 This entry was posted in Brand News and tagged barn coat, boys clothing, Boys jackets, boys plaid, boys shirts, eland & american vintage, hunting shirt, the boys store, vintage boys clothing, vintage clothing on August 25, 2018 by Lacy. Rain, Rain, Come Right Away: We Got Rain Coats! Rain season is coming soon! SO be sure to have all your rain gear ready to go! The Boy’s Store has some fun rain coats this season for your boys. Boys love the rain, lets face it, all kids love rain. Why? You guessed it. Puddles, mud, MESS! There is something about messy things that just draw those kids in. But with these great raincoats at least their clothes will be protected from all that yuck and muck. Rain and water brings out the frogs! Dress your little frog in this fun rain coat all season long and he will blend right in with all the other amphibious creatures! This sweet yellow raincoat just screams fun. Yellow, bright, and ready to jump. Let your little guy enjoy the rain and the mud in this bright sunshiney coat. Blue may be a color of calm but your little guy will be anything but calm in this coat, let him run free, be wild, and jump to his hearts content in this blue slicker. There will be no stopping him now! This entry was posted in boys clothing and tagged boys clothes, boys clothing, Boys coats, Boys jackets, boys raincoats, kitestrings, Pluie Pluie, rain coats, rain jacket, slicker, the boys store on October 16, 2016 by Lacy.